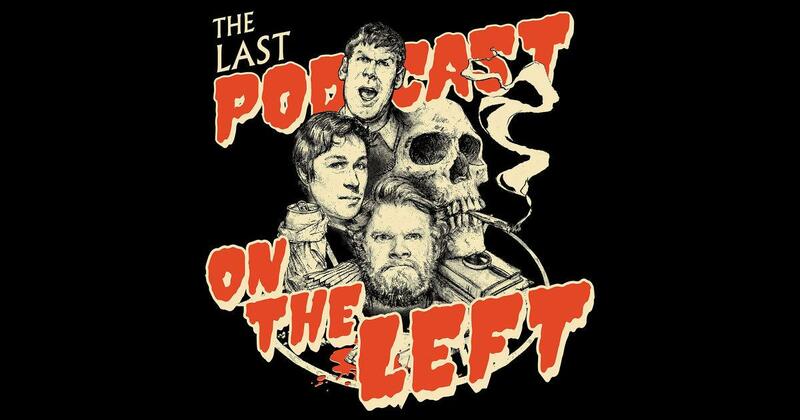 Media Cover for "The Last Podcast on the Left." “The Last Podcast on the Left” is a true crime/paranormal comedy podcast that many people would enjoy- so long as you have a morbid sense of humor or an interest in the strange. Due to its heavy subject matter and “harsh” language, this podcast would not be best for those who are faint of heart or sensitive to intense subjects. But, if you have a darker sense of humor and an open mind, I cannot recommend this enough. It’s educational and interesting while retaining its humor (almost too humorous at times when tackling some of the heavier topics). The podcast is a horror comedy show hosted by writers and comedians with a general interest in the strange. These individuals include the FOX News writer and actual giant Ben Kissel, writer and musician Marcus Parks, and the possibly insane Henry Zebrowski. Zebrowski has made appearances in shows and movies, most notably The Wolf of Wall Street and Adult Swim’s Your Pretty Face is Going to Hell. While Parks remains the group’s primary researcher and serial killer extraordinaire, Zebrowski is the general comic relief and (very loudly) voices the conspiratorial side of every story, while Kissel tries to remain as a voice of reason. Of course, he can go a bit off the hinges sometimes, and his height is a subject of several jokes from Parks and Zebrowski. Seriously, that monster is nearly seven feet tall and has hands that are meant to tear trees out by the root. The topics they cover range from various myths to government conspiracies, so there’s always an episode that someone can enjoy. Every couple of weeks (the podcast is released weekly), they release an episode about a “heavy hitter.” These are episodes that may take weeks to complete and cover the most famous killers throughout history, including Ted Bundy and John Wayne Gacy. My personal favorite series from them has to be the three part series on Charles Manson, but that may sound awful out of context. Almost every episode is absolutely hysterical, especially when Zebrowski goes off on tangents involving conspiracies. One character in particular, Detective Popcorn, was given his own Christmas special where he sings his way through an investigation. Some of his characters, however, may not be as well received as the warm butter covering Detective Popcorn’s delicious kernels. Any listeners of the show may know who I am referring to, but it walks a line that can be understandably seen as painfully racist and offensive. Thankfully, this character has been toned down quite a lot since the beginning of the series, likely due to the controversy that may surround it. Luckily, there are other characters that are hilarious and don’t need to resort to blatant racist accents or stereotypes. People believe that a lot of the opinions expressed are making light of the tragedies and atrocities committed. The hosts know this and state many times that they are not making fun of the victims. They try to remain as factual as possible and any jokes made are at the expense of the monsters being discussed. The reason they do this is to show a human side to these actions and help people stop fearing these people. They do not idolize serial killers or the actions they’ve performed. At their best, they sympathize with some criminals; at worst, they treat these people as subhuman monsters. Along with this, they do know when to be objective and serious because they have covered very real and very recent events that may have affected some of their listeners. Thankfully, there’s a wide range of topics the trio has covered in their own unique style, so there’s something out there for everyone. This is a podcast that’s perfect for late nights, especially in the fall. Of course, I just would be hesitant to play it on speakers, especially when the family is around. The podcast is definitely interesting and well-researched. However, sometimes their “impressions” (especially Henry) take over and become loud and obnoxious, and honestly, not even funny. I think adding comedic relief to true crime is a great idea, and these guys are funny, but how can you listen to this on your headphones when Henry or Ben randomly starts SCREAMING into the microphone. This newest episode (PeeWee Gaskins the final episode) was over the top. I made it almost halfway through before I had a headache and threw my headphones across my cubicle. If Henry would chill out a few notches, it would be my favorite podcast.